In an attempt to finish posting the items I knit either for Christmas or by the end of 2104 I am sharing all these today. 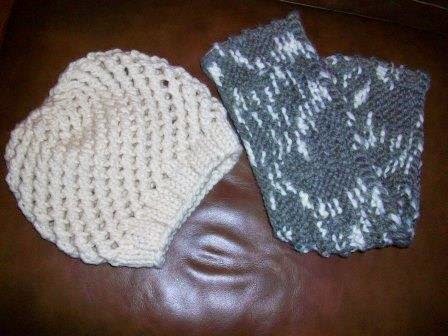 This first photo shows a knitted slouch hat (given to a colleague for his wife) and an infinity scarf (given to a friend). 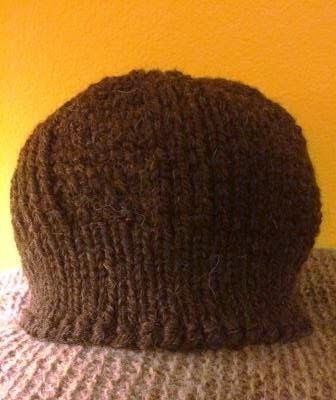 The pattern for the hat is Chunky Slouch Cap by Melissa "Missa" Hills. The pattern for the scarf is a blend of two patterns: Super Duper Circle Scarf (aka. Workhorse Cowl) by Leanne Wilkinson and The Rime Frost Cowl by Ida Thue Nielsen. The yarn is Lion Brand Wool-Ease Thick & Quick for both. These two hats are from leftover yarn. The pattern is Scrap-happy Celebration Hat by Cosette Cornelius-Bates. 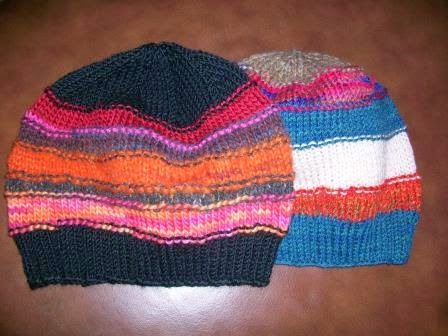 I sent them along with the brown hat in the next photo to our local children’s hospital to use in their Knitting for Noggins program. 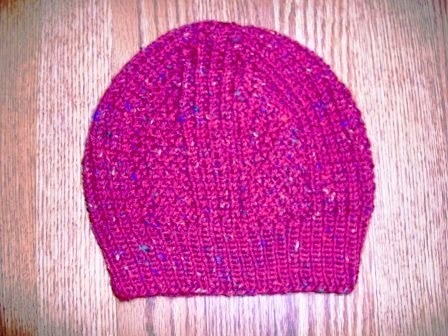 The pattern for this hat is Hill Country Hat by Clara Parkes. The yarn is Rowan Purelife British Sheep Breeds Chunky. This next hat is also knit using the hill country pattern but I knit it from the bottom up rather than the top down as the pattern is written. Also, the color is a deep red rather than the pinkish-red shown in this photo. The yarn is Plymouth Yarn Galway Worsted.